The video has been posted to YouTube from my presentation on May 1st at the Philadelphia PowerShell Users Group. My presentation was on Managing WSUS using PowerShell and I had a great time presenting on the subject. Check it out and let me know what you think! 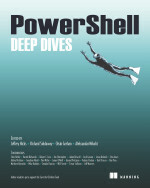 This entry was posted in News, powershell, WSUS and tagged Philly, Powershell, Speaker, user group, wsus. Bookmark the permalink.